here are two projects I'm working on. 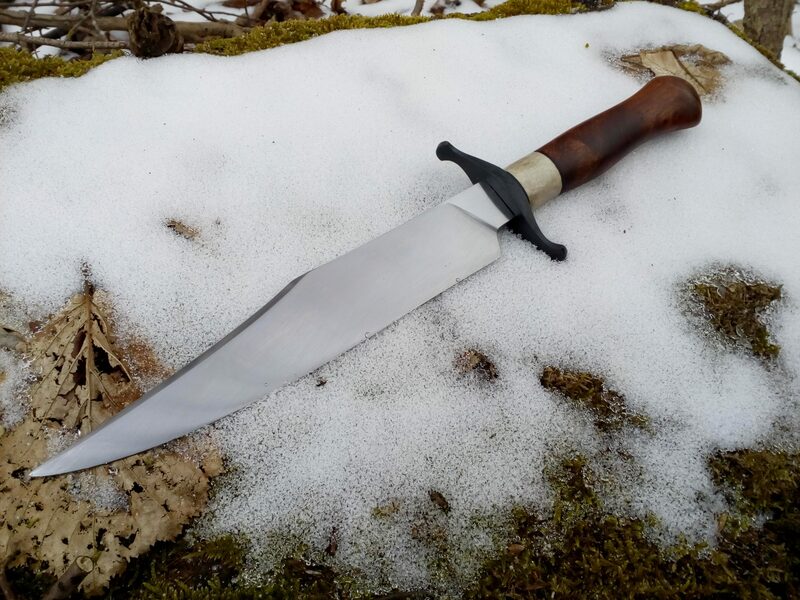 A Bowie and a XVIIIb longsword with a pommel in the shape of a scallop. That design is based on the sword shown on the tomb of a late medieval nobleman from Germany (von Eyb). Here is the finished Bowie. It sports a 20,5cm (8“) blade, the overall length is 33,5cm (13“). It weighs 240g (0,5lbs). 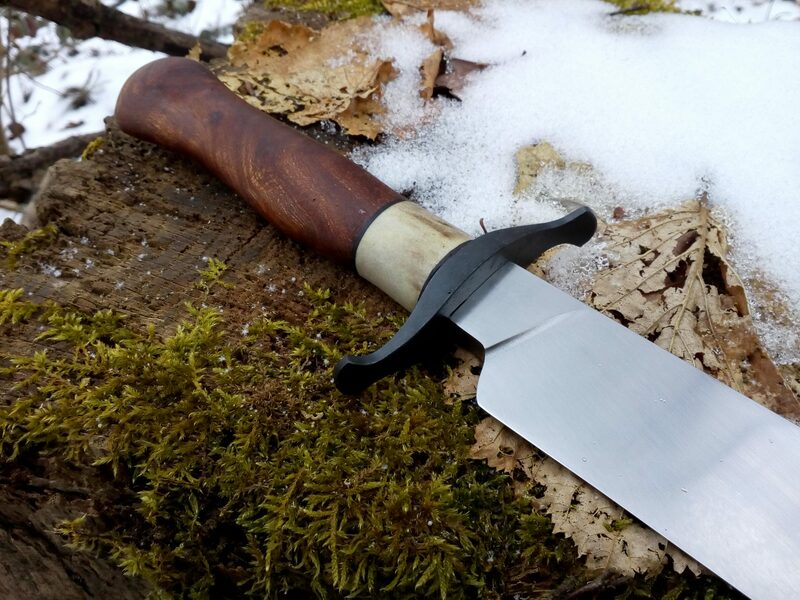 A substantial knife but compact enough be useful for bushcrafting chores or the like. In fact I intend to carry this knife when hunting. Not because it‘s really necessary but because I want to And I do believe that it will come in handy. In any case, this piece is intended to be a user. 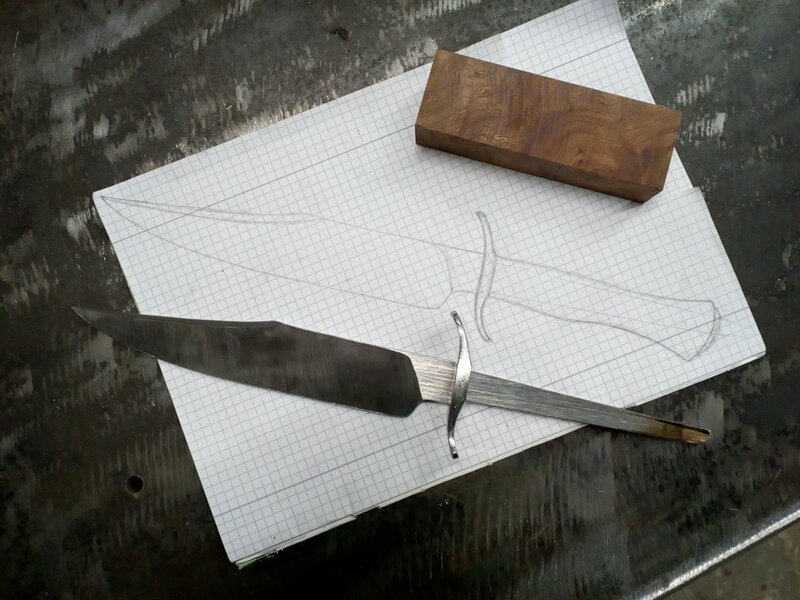 The blackened finish of the guard and peen block reflect this, as does the overall appereance of the knife. No unnecessary embellishment, no fancy materials. The design is not without elegance though, the shaping and the proportions are well thought out and carefully executed. In hand, the knife feels substantial but quick, with a slight forward pull, inviting cutting or chopping motions. The PoB is right at the plunge cut. The tip tracks well despite the forward bias. 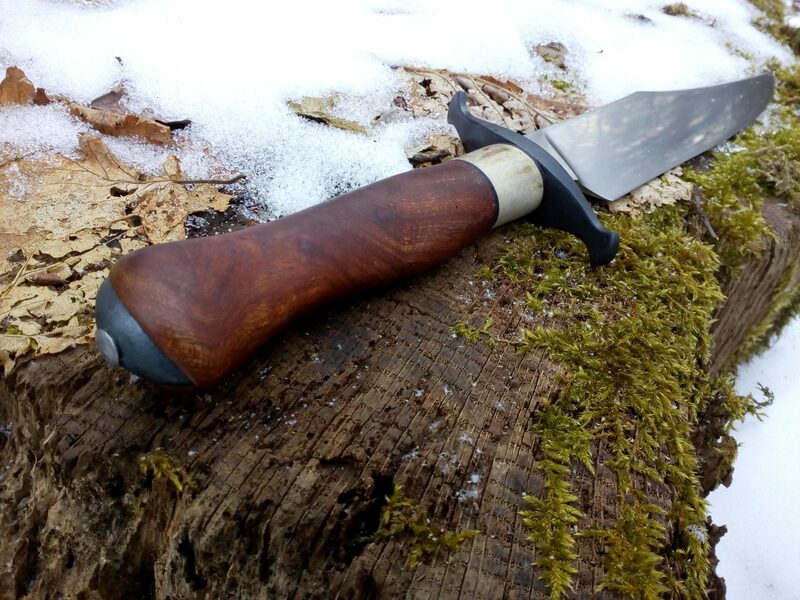 Bowie knives are good fighting knives by design and this one is no exception. Because it will be mainly used for practical purposes and not as a fighter, I didn‘t fully sharpen the back edge. It is ground down to zero but I left it without the final honing. If I ever decide it needs a fully sharpened back edge, it will be a quick matter to do it. 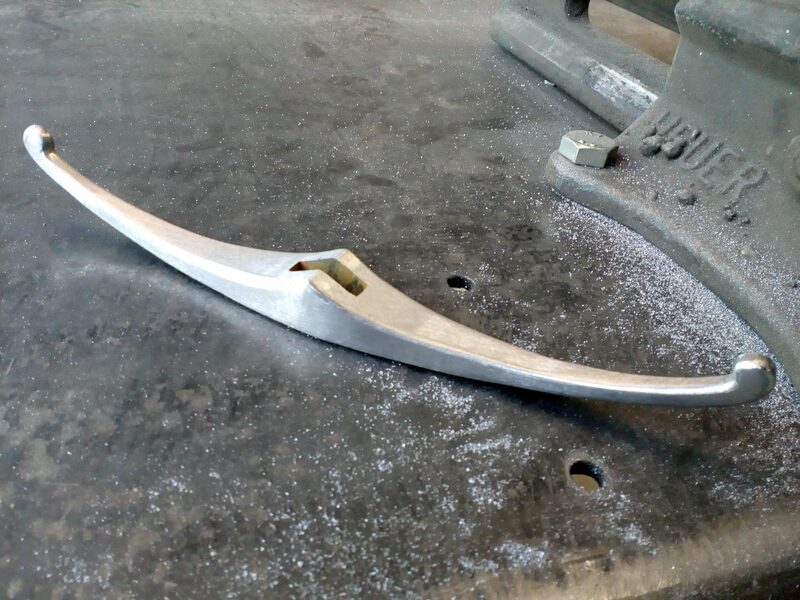 The front edge is hair shaving sharp along its entire length but the actual shape of the edge varies: the lower half which will be used for whittling, cutting soft materials, etc features a thinner, more acute edge whereas the upper half is ground to a stouter, more convex edge for chopping into tougher materials and to avoid edge damage upon contact with bone (to be expected with this piece‘s intented use). Grip materials are antler and what I think is walnut (not entirely sure) with leather spacers. I hope you like it, I certainly do. 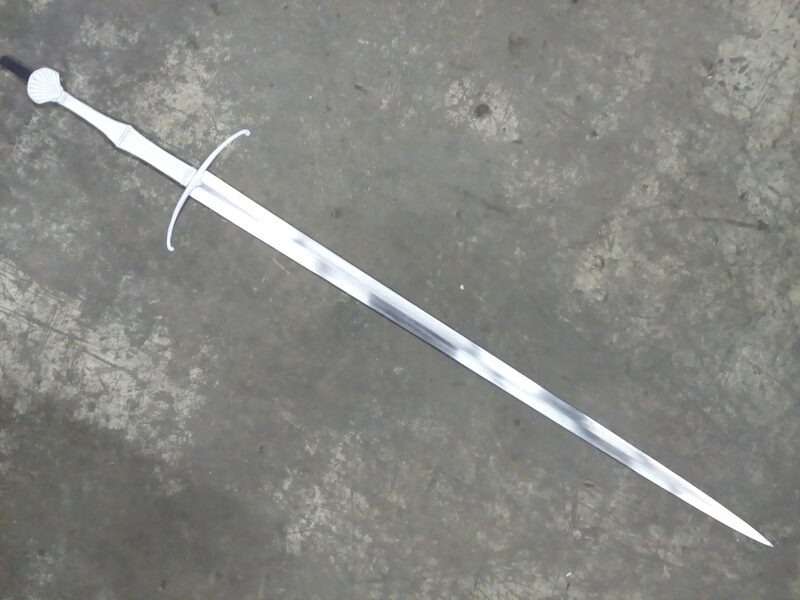 I hope to be able to continue on the longsword soon. Lukas, I love the way you integrated the pommel into the grip on that bowie. It is very attractive and not a style I have seen before. Thanks, Ian. Glad you like it. The pommel cap sits in an inlet in the wood to make the transition seemless. I considered several options and this seemed the best to get a good fit. I like the way it turned out. Really love the Bowie interpretation! (High praise from a Texan). Of course, I'm truly interested in the sword - that scallop shell pommel intrigues me and the whole mock-up seems very elegant and aesthetically pleasing to my eye - that, of course, is my Germanic roots coming out (lots of us in Texas), and having a great interest of the historic forms of "the Fatherland". Whether migration period all the way through Renaissance, there always seemed to be a lot of beauty incorporated into lethal function of the weapons produced in that part of the world.